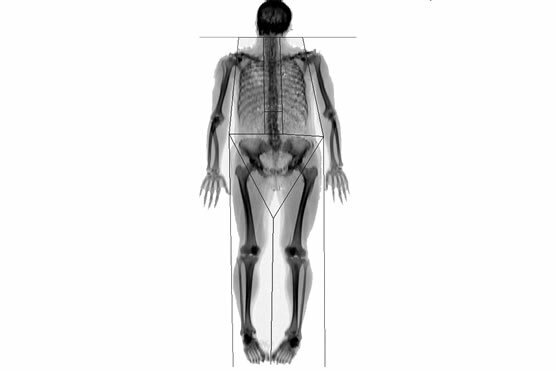 Bone mineral densitometry is a scan which uses low energy X-Rays to measure the density of your bone. It is used to diagnose osteoporosis and assess your fracture risk. It is also used to monitor your bone density especially if you are on treatment for osteoporosis. The usual regions scanned are your lower spine and hips although on occasions other sites such as the forearm may need to be scanned. Where possible, please wear clothing with no metallic objects such as zips or metal buttons which can affect the scan. If required, we will ask you to change into a gown before scanning. Please bring along any previous bone densitometry results that you have so we can assess for any changes in your bone density. The scanning time is about 5 minutes. The total duration for a bone mineral densitometry appointment is about 30 minutes as we need to obtain some medical history from you before the scan and your height and weight will also be taken by your Radiographer, this is necessary for the results to be calculated accurately. The radiation dose from a bone mineral densitometry scan is about one tenth of a dose from a chest X-Ray.